There’s no doubt cruising with Fred. Olsen is the best way to uncover the Scandinavian Islands of the Baltic and Stockholm. After gliding through the charming German countryside along the Kiel Transit Canal, you’ll arrive at the first port of call, Rønne. The Danish town on the small rocky island of Bornholm offers historical charm with its cobblestoned streets and cross-timbered houses. Then onward to Sweden where you’ll feel like you’ve stepped back in time as you discover well-preserved ruins, beautiful buildings, stunning landscapes and plenty of fresh air in Visby and the capital Stockholm. Next you will reach the halfway point between Finland and Sweden, Mariehamn. It’s the capital of the Åland Islands, a breath-taking amalgam of nearly 7000 islands. Finally, your journey concludes in Copenhagen which has something for everyone. 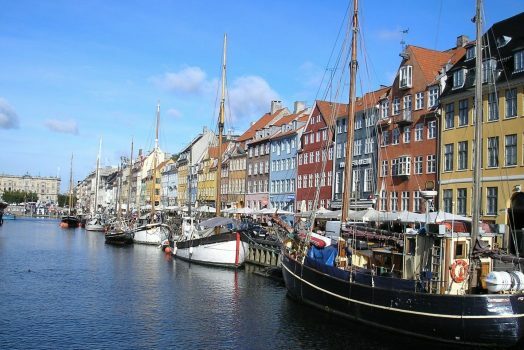 Discover Nyhavn, the city’s famous and picturesque port or visit Christiansborg Palace. Also, not to be missed is a visit to the traditional and dreamlike Tivoli Gardens, the second-oldest theme park in the world. Board the ship before you set sail. Enjoy a full day of cruising. Take in the charming German countryside along what is said to be the world’s busiest man-made waterway, the Kiel Canal. At almost 100 kilometres long it links the North Sea with the Baltic and only smaller ships are able to navigate it. With its harbour, Rønne is Bornholm’s centre of trade and culture, and home to the fortress ruins of Hammerhus and the island’s distinctive round churches. Although large amounts of the town were destroyed during the war, it was rebuilt during the post war years, and many buildings look older than they actually are. You’ll feel like you’ve stepped back in time as you discover the curious, UNESCO-listed town of Visby, a living museum of well-preserved ruins, medieval streets and merchant’s houses hidden behind 13th century city walls. Explore the beautiful Botanical Gardens; admire the tri-towered St. Mary’s Cathedral; or venture to the quaint fishing village of Lickershamn, where you can savour Gotland’s tallest sea stack, Jungfrun (‘The Maiden’). 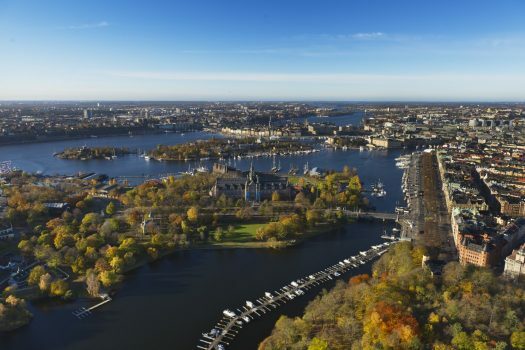 Stockholm is said to be one of the most beautiful capitals in the world. Built on 14 islands, the beautiful buildings, greenery, fresh air and proximity to the water are distinctive traits of this city. Walk around the beautiful Gamla Stan, the Old Town, which is one of the largest and best preserved Medieval city centres in Europe, and one of the foremost attractions in Stockholm. This is where Stockholm was founded in 1252. The narrow winding cobblestone streets, with their buildings in so many different shades of gold, give Gamla Stan its unique character. See one of the largest palaces in Europe. The Royal Palace is the official residence of His Majesty the King of Sweden, with over 600 rooms. Situated in the heart of the Baltic Sea, halfway between Finland and Sweden, you’ll discover Mariehamn. You have reached the capital of the Åland Islands, a breath-taking amalgam of nearly 7000 islands which boasts a unique archipelago culture, maritime heritage and natural beauty. Åland is an autonomous Swedish-speaking, Also known as The Town of a Thousand Linden Trees, Mariehamn is a small town with a big personality. The small, easily navigable town centre provides a rich variety of shopping experiences, restaurants and cultural landmarks. These days, music festivals and cultural fairs pack the city calendar, and folks stay out all night soaking up the midnight sun. Copenhagen has something for everyone, from the imposing Christiansborg and Amalienborg palaces to the vibrant cafés and shopping outlets lining the pedestrianised streets of Strøget – not forgetting Nyhavn, the pretty waterfront district too. And of course, no visit here would be complete without a photo stop at the iconic Little Mermaid statue. Disembark the ship for your journey home. Named after the British warrior Queen, Boudicca has built up a loyal following of guests who appreciate a sense of class and timeless elegance not seen or experienced on modern ‘megaships’. All of the 462 comfortable and stylish rooms are equipped with private facilities which include an en-suite bathroom (some are fitted with a bathtub), a desk, telephone, interactive Smart TV, hairdryer, air conditioning and tea & coffee making facilities. According to your needs you can chose between different room types, like Interior, Porthole, Ocean View, Balcony and Suites. As you explore the globe you can indulge yourself with delicious dinners in the Four Seasons, Tintagel or the Indian Ocean restaurants. Enjoy al fresco dining at The Grill or a buffet in the more relaxed setting of the Secret Garden Café. As well as a choice of comfortable accommodation, dining venues, bars and lounges, Boudicca features all the facilities and amenities you need for a comfortable, restful and stress-free stay on board, including heated pools and bubbling jacuzzis, library, gaming tables & card rooms, and even a self-service Laundry Room. Stroll through the Port or Boutique shop whether you need any essentials or a holiday bargain or bring home something special for you or a loved one from the Fred Olsen Jewellery Shop. During the day insightful talks and lectures, as well as interactive hobby classes take place and fantastic live performances – including cabaret, stand-up comedy and intimate shows from resident bands and singers – bring the ship to life in the evenings. Prices based on minimum 2 people sharing an inside (H Grade) cabin. Minimum 2 passengers to operate cruise.